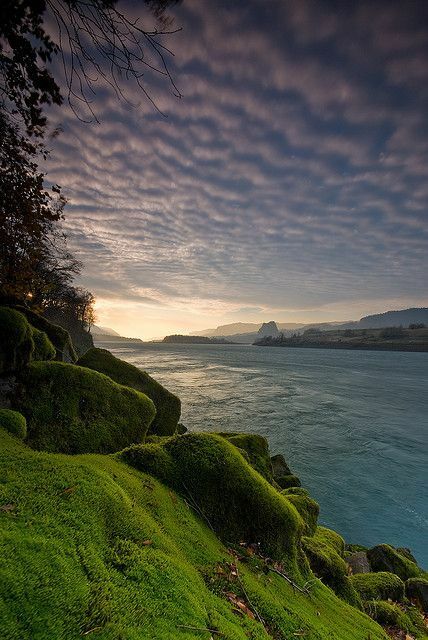 The Columbia River is the largest river in the Pacific Northwest region of North America.The river rises in the Rocky Mountains of British Columbia, Canada. It flows northwest and then south into the US state of Washington, then turns west to form most of the border between Washington and the state of Oregon before emptying into the Pacific Ocean. The river is 1,243 miles long, and its largest tributary is the Snake River. Its drainage basin is roughly the size of France and extends into seven U.S. states and a Canadian province.